Timed for the 2017 Star Wars film come three consecutive releases in the Mei Sho Movie Realization series! 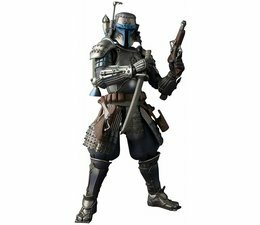 The first is Ronin Jango Fett. Includes his trademark pair of guns, which can be attached to his legs. Includes 8 optional pairs of hands, two guns, and a kunai blade. 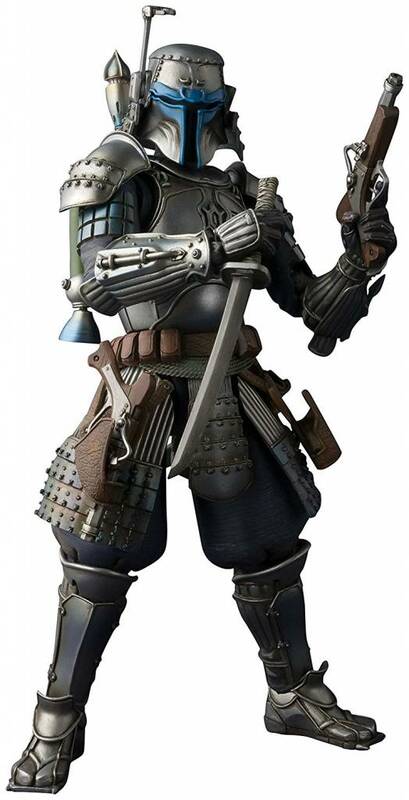 The Ronin Jango Fett by Tamashii Nations is a limited edition.